Comodo IceDragon 64 is a fast, secure and versatile Internet Browser. It is designed and built on the core features of the Mozilla Firefox browser. 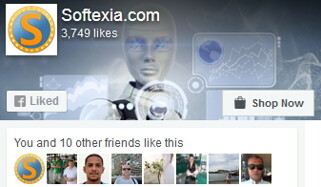 Also it has Facebook integration and infused with Comodo’s unparalleled level of security. IceDragon’s dedicated social media button makes it easy to instantly share your web-finds with your Facebook, Twitter or LinkedIn friends. IceDragon features several tweaks to the core Firefox build to improve both security and performance. These include the removal of crash report and performance data submissions, the removal of the snippets service. IceDragon features a sleek interface that helps you get seamless browsing experience. The browser retains same core functionality of Firefox but with some added security features such as Comodo Secure DNS and Site Inspector. IceDragon is fully compatible with Firefox plug-ins and extensions. It combines the freedom and functionality of Firefox with the unparalleled security and privacy of Comodo. SiteInspector’s link scanning feature allows you to check whether a web page is malicious before you actually visit that page. To scan a page that seems suspicious to you, simply right-click on the link to that page and click ‘Scan Link’. Alternatively, the SiteInspector button at the top corner of IceDragon allows you to instantly scan the page you are looking at to find out if it contains viruses or other malware. When the scan is complete, you’ll see a detailed breakdown of site safety, domain registration details, administrative contacts and a history of previous malware scans on that website. Web-pages load faster. Comodo operate a huge network of fully redundant DNS servers located at optimal locations around the world. This means your requests for web-pages are always resolved by the high performance DNS cluster closest to you. As a result, websites load faster than if you continue to use the DNS server provided by your ISP (which you share with all their other customers). A safer Internet experience. SecureDNS helps users keep safe online with its malware domain filtering feature. SecureDNS references a real-time block list (RBL) of harmful websites. These include phishing sites, malware sites, spyware sites, and parked domains that contain excessive advertising. The browser will warn you whenever you attempt to access a site containing such potentially threatening content.